In 1999, Andy Bechtolsheim, co-founder of Sun Microsystems, introduced Kleiner Perkins to two young Stanford graduates, Larry Page and Sergey Brin. In their time at Stanford’s Engineering School, Brin and Page developed a compelling new search algorithm called PageRank. They launched it from their dorm room. Demand for its superior search results soon brought Stanford’s network to its knees. So they were banished, tossed out and off the network. They needed capital and scale—and fast. Larry and Sergey brought a 17-page presentation to us — just two pages had numbers. (They added three cartoons just to flesh out the deck.) Though they’d made a small deal with The Washington Post, Google had yet to unlock the value of keyword-targeted ads. As the eighteenth search engine, they were late to the party. 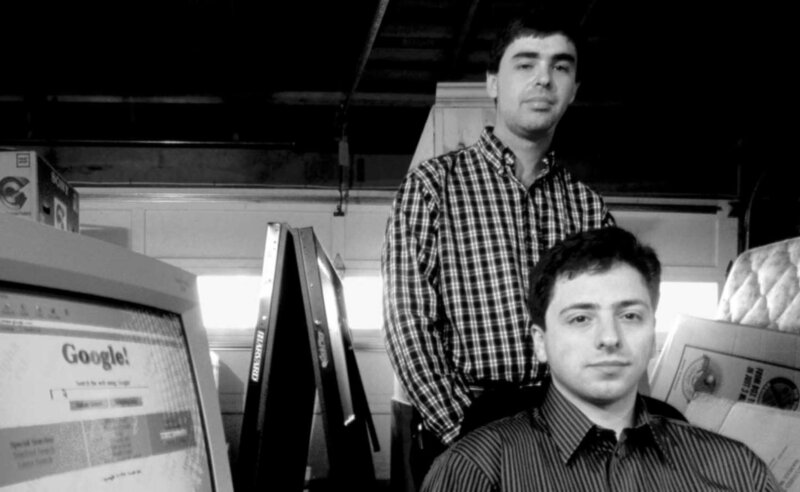 There was no business model, no team, but an audacious ambition and compelling founders. When John Doerr asked how big Google would be, they responded, “$10 billion.” John thought they meant market cap, but they confidently asserted $10 billion in annual revenue! We invested with the biggest check in our history. The founders faced several challenges that we helped address. Larry and Sergey weren’t big on traditional management and not sure about recruiting a CEO. So John introduced Larry and Sergey to some of the most respected tech founders for advice—Scott Cook, Bill Gates, Andy Grove and Steve Jobs. Larry and Sergey drove an executive search process that led to Eric Schmidt, an experienced tech executive John knew from Sun Microsystems. We helped Larry, Sergey and Eric build their team with Wayne Rosing, VP Engineering, and Jonathan Rosenberg, SVP of Product. John also introduced resources to help Google deal with its rapid growth, such as OKRs for establishing priorities and stretch goals, and the legendary executive coach, Bill Campbell, to develop the team’s leadership skills. Our investment in Google was one of the firm’s most significant—and not just for its impressive returns. Google has transformed lives everywhere by organizing all the world’s information. John Doerr remains actively involved with the company as a board director of Alphabet Inc.